The determination of identity and the evaluation of trauma require special consideration when a body suffers extreme levels of damage sustained in a fire. Beginning with the search and recovery of the cremated remains (cremains) and the interpretation of the fire scene, the challenges and practicalities of recovering and analyzing burned remains demand a unique set of skills and expertise. 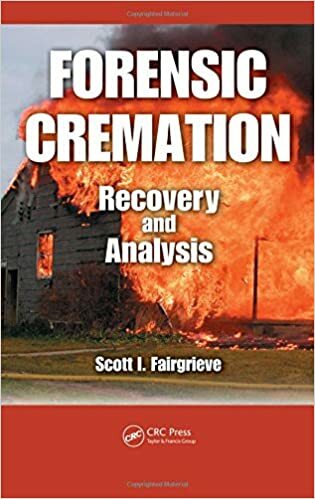 This book provides a synopsis of these challenges and delineates, step-by-step, the recovery and interpretation of cremains from the point of discovery to the end of the analysis. Presenting current research in forensic anthropology in a condensed, useable format, Forensic Cremation: Recovery and Analysis begins with an evaluation of the reasonable expectations for analyzing cremains in a forensic setting. It summarizes the contexts and challenges that face the professional and introduces a wide range of preservation encountered in a variety of fire contexts. The book discusses the capacity and mechanisms of fire to alter the chemical and physical properties of materials, particularly those of human tissues. It emphasizes a flexible approach to the collection of cremains, taking into consideration the intermixing of the human tissue with the surrounding materials. A significant portion of the book examines the effects of fire on bone and the ability to determine trauma as peri- or post-mortem. It evaluates the practical use of dental tissue and DNA for identification and as an aid to the investigation. Providing crucial information on the handling of cremated remains in a forensic context, Forensic Cremation: Recovery and Analysis presents a methodical approach designed to maximize the potential of the evidence.